If you have a loved one who has been impacted by Save the Redwoods League, establishing a memorial or tribute gift is a meaningful way to honor your loved one or celebrate a special occasion such as a birthday while supporting the work of our mission. Your memorial or tribute gift will be a lasting tribute to your loved one and make a difference in the lives of those we serve. 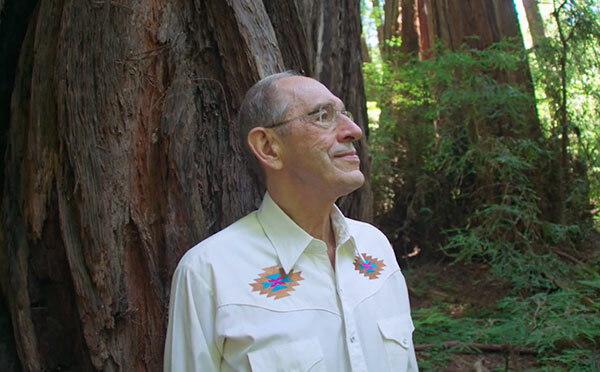 Consider using your gift to dedicate a redwood grove in honor of yourself or a loved one. You can help ensure the future of these magnificent redwood forests and inspire the next generations to visit by dedicating a special place in the forest through your will or trust. The League will work closely with your family members, friends, or the representative of your estate to fulfill your wishes and choose a fitting place in the redwoods. Redwood Legacy Circle member Henry Timnick wanted to honor his mother Ottilie Schroeter Timnick 1894-2008 (108!). She was a true nature lover and knew every bird and tree. She taught him to smell the roses. She would have been astounded by the redwoods. She had everything expropriated in the Russian Revolution, came to Canada penniless, and taught Henry by her good deeds that "giving" is the greatest gift of all. When Henry decided to include Save the Redwoods League among the important charities in his will, he knew it was fitting to honor his wonderful mother. Naming a redwood grove allows her spirit to live on when people pass by her grove, and hopefully they will smile when they read her sign, "The Ottilie Timnick Grove: A Mother Like No Other." Contact Sharon Rabichow at 415-820-5828 or SRabichow@SaveTheRedwoods.org for additional information on creating a memorial gift at the League. If you make a memorial gift to the League through your estate, please use our legal name and federal tax ID. A charitable bequest is one or two sentences in your will or living trust that leave to Save the Redwoods League a specific item, an amount of money, a gift contingent upon certain events or a percentage of your estate. "I give to Save the Redwoods League, a nonprofit corporation currently located at 111 Sutter Street, 11th Floor, San Francisco, CA 94104, or its successor thereto, ______________ [written amount or percentage of the estate or description of property] for its unrestricted use and purpose." A donor advised fund is an account that you set up but which is managed by a nonprofit organization. You contribute to the account, which grows tax-free. You can recommend how much (and how often) you want to distribute money from that fund to the League or other charities. You cannot direct the gifts. You fund this type of trust with cash or appreciated assets—and may qualify for a federal income tax charitable deduction when you itemize. 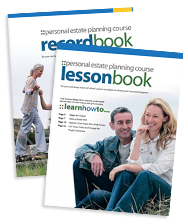 You can also make additional gifts; each one also qualifies for a tax deduction. The trust pays you, each year, a variable amount based on a fixed percentage of the fair market value of the trust assets. When the trust terminates, the remaining principal goes to the League as a lump sum. You fund this trust with cash or appreciated assets—and may qualify for a federal income tax charitable deduction when you itemize. Each year the trust pays you or another named individual the same dollar amount you choose at the start. When the trust terminates, the remaining principal goes to the League as a lump sum. A charitable gift annuity involves a simple contract between you and the League where you agree to make a gift to the League and we, in return, agree to pay you (and someone else, if you choose) a fixed amount each year for the rest of your life.